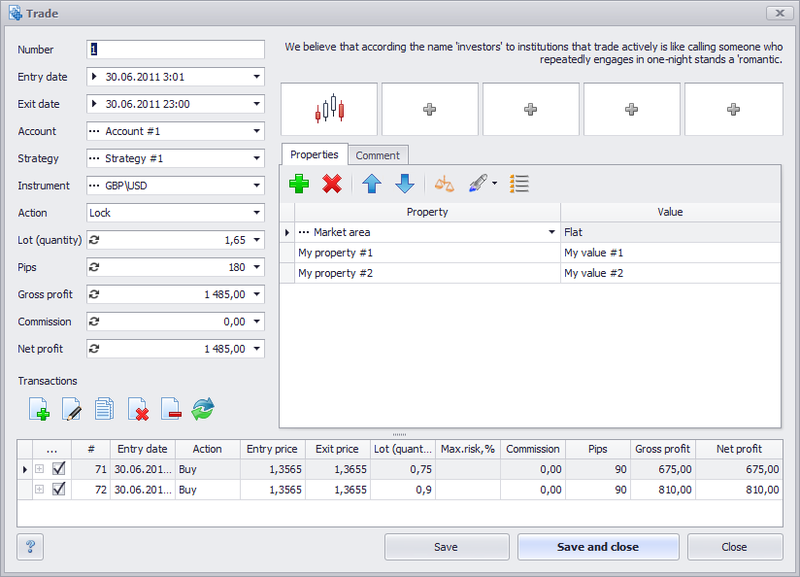 Trading journal (aka transaction log, transaction journal) keeps all the trading activities in one place. Recently it was a notebook where trader made a record of every trade, but we live in a digital era, so trading journal became a software. Keeping a trading journal is an essential task for any trader which facilitates one’s work significantly. So, consider it as a general rule – once you close a trade it should become a part of your trading journal. Never miss anything because one single trade will not tell you the truth about your trading, but all trades kept together can tell you the whole trader’s story as they form the base to further study and analysis. Which program to use to log trading transactions? 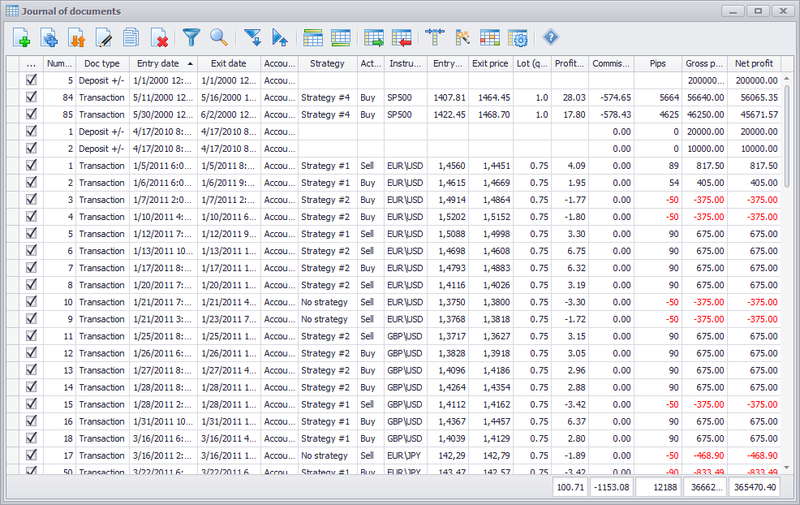 The easiest way to display trading analysis is an Excel program. It is by means of this program beginners first try to fill out a trader's log. But how effective is it? The fact is that by filling statistics by means of Excel, a beginner due to lack of experience, spends a huge amount of time just to create this document. Let's go back to the Trading journal and see how to work with it. MaxProfit Trading journal works closely with other modules of the program. Trader’s diary helps to add different types of significant information to each trade either visual (screenshots, graphs, etc.) or textual (notes, descriptions, etc.). Trading analysis module helps to deeply analyze one’s trading based on the trading journal recordings and thus improve it. The maxprofit Trading journal has various built-in tools to import data from different sources. There’s a one-click automated import from major online trading platforms plus semi-automated import and manual data input from different broker’s reports. Atas, cTrader, MT4, MT5, NinjaTrader7, NinjaTrader8 – we constantly expand the list. The trading journal allows you to compare and organize the trades according to specific parameters. You can add new lines and columns, group and sort your data, display totals by groups and subgroups, customize colours and fonts for cells and lines. 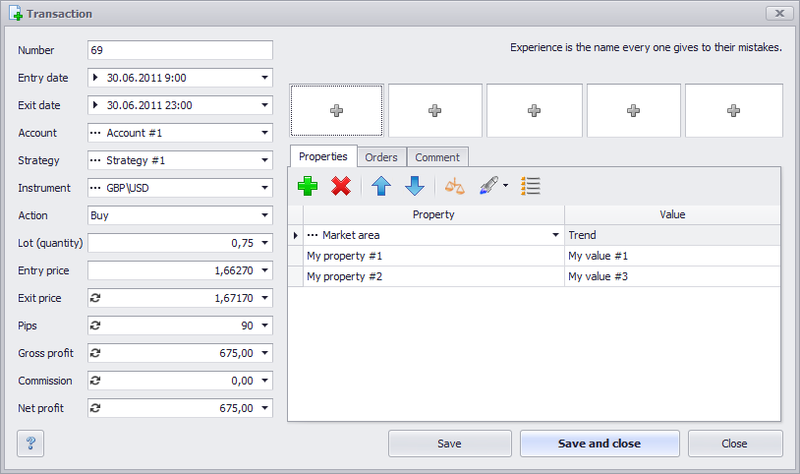 You can create one journal per each trading account and customize each with their settings. You can open and work with two or more journals at the same time and filter data by the set of different parameters. Each opened journal saves its settings, i.e. you can open two or more journals simultaneously, configure each of them at your own discretion and, the next time when several logs are opened, each of them will restore its settings. 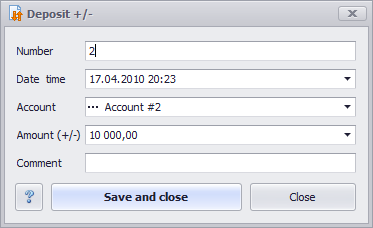 For example, you may set up filtering by account #1 in the first journal and set up filtering by account #2 in the second journal.